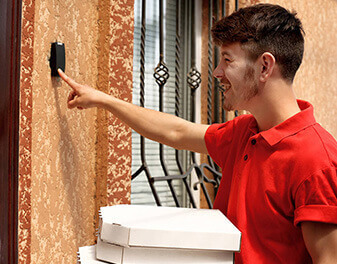 DPos Driver App keeps track of your Delivery Drivers to where they a located, what orders have been delivered and whether the driver is returning back to the store. Drivers geolocations are logged against the drivers current orders, which are received on the drivers mobile device, Drivers start and end orders in which are plotted with the Drivers location on DPos Delivery Maps. Orders are either marked as completed or in progress, once all orders have been delivered and completed, the Driver is indicated as returning back to store. With the ability to track your delivery drivers, DPos Driver App will make your delivery management easier to handle. Available on itunes and google play, Drivers download the app to their phone, login into the App using their DPos login details, and they can start receiving their current allocated orders to their phone. Utilizing current technology smarts, the Driver App detects when the driver has reached the order destination and prompts to complete order, and recognizes when the driver has returned back to the store to refresh them with new orders. Drivers can also use the App to locate the destination and find them the quickest route.